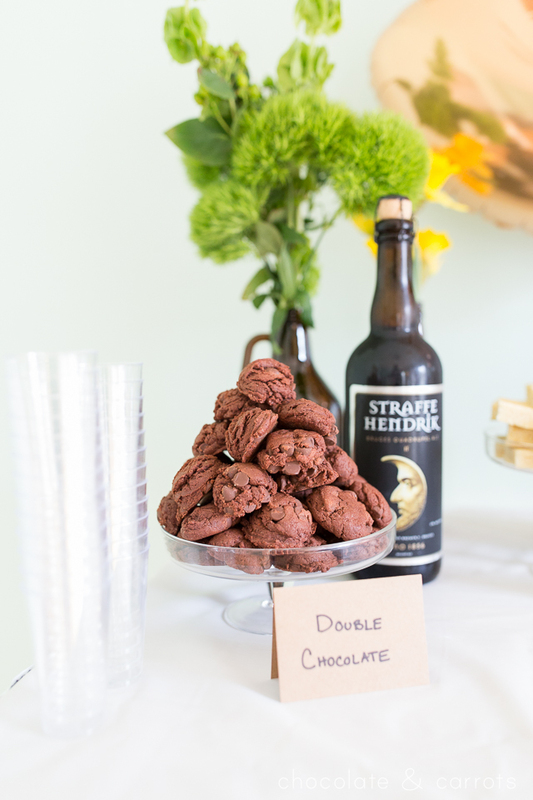 The Beer & Cookie Pairing Party also known as the greatest man birthday party ever. 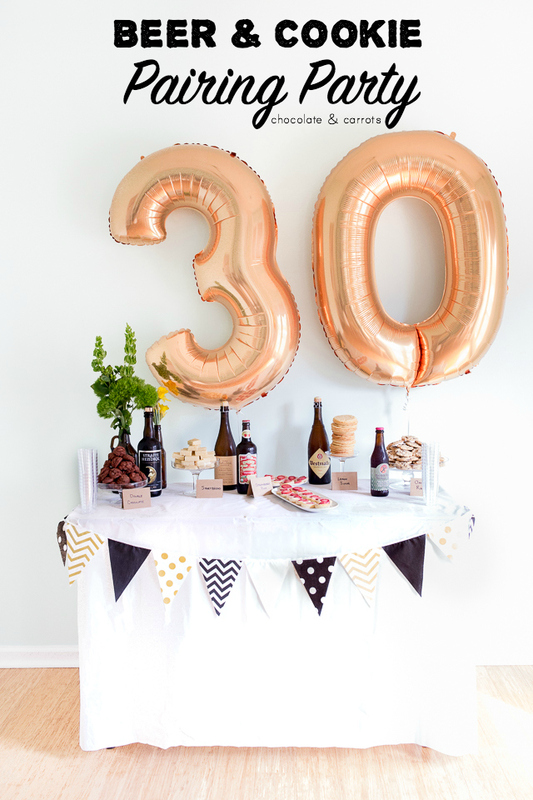 I went all out for my husband’s 30th birthday. 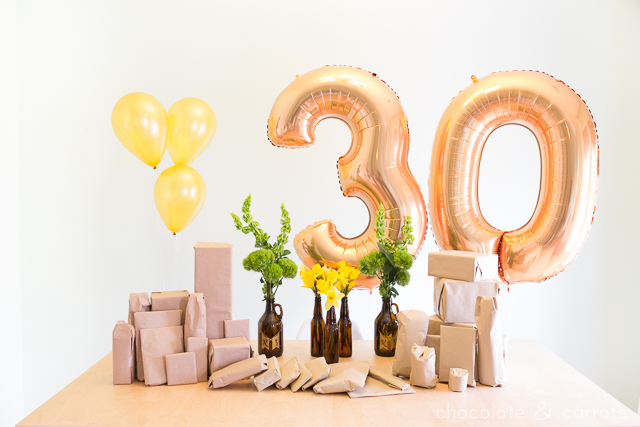 He woke up to find 30 gifts, which his sons loved help him open. 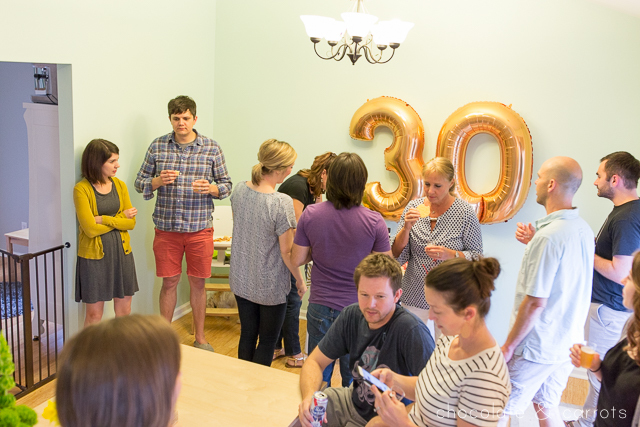 Then, we had an excited birthday get together planned for that evening. I’m a beer novice, so I took Logan along with me to the local beer shop to scope out some interesting pairings. I already knew that I wanted a variety of cookies, so I came with a list of cookie ideas. This helped tremendously when picking beers. 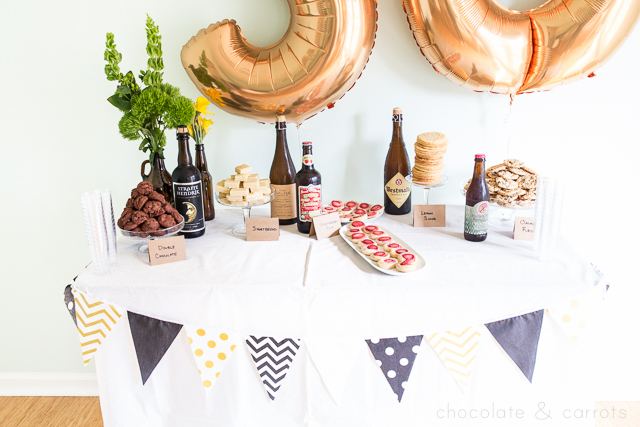 We chose five pairings in total, which between all the baking that it took and our stomach’s capacity ended up being perfect! I stocked up on disposable shot glasses and paper plates for each pairing. 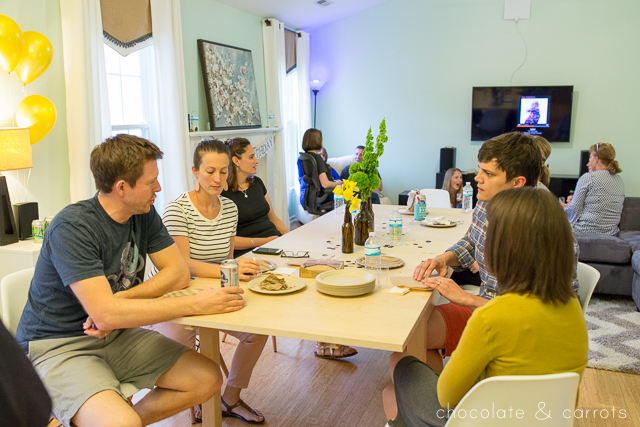 We did a bit of explaining regarding the pairings when the party began, but otherwise let everyone try the pairings at their leisure. It was casual and fun! The best part is that if you got into an awkward moment with new friends, talking about the pairings was a great ice breaker. 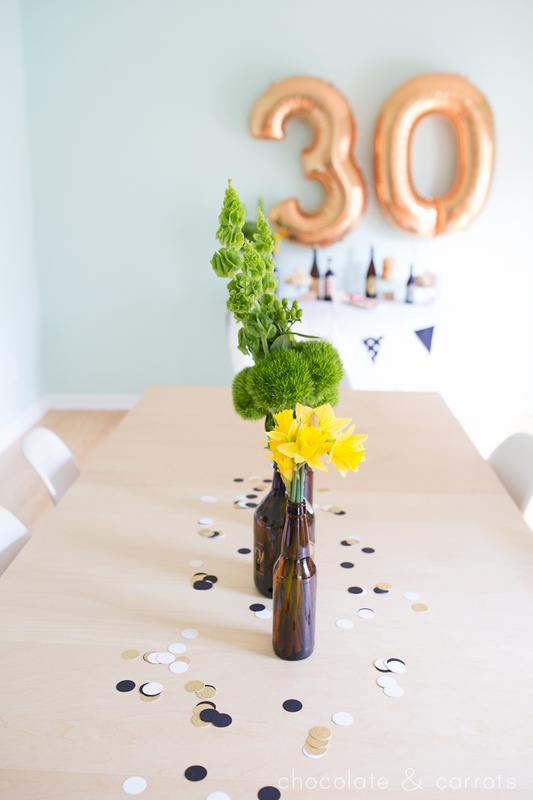 I ended up minimally decorating for the party with some “30” balloons, a cute banner and flowers in beer glasses and beer growlers. Now, let’s dive into those pairings and what the people thought about them! The ale is a sweet, medium-bodied brew with hints of vanilla and maple. 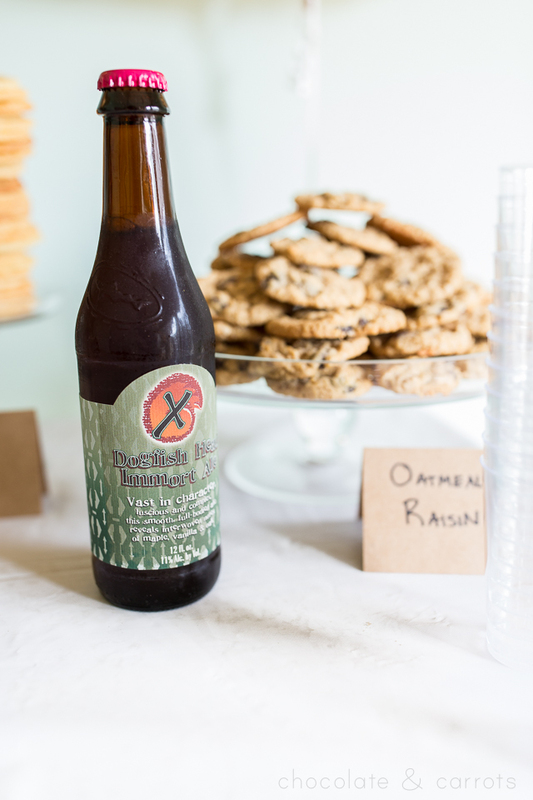 The vanilla expressions definitely made for a safe pairing with the oatmeal raisin cookies, which are indeed sweet, but not overly saccharine. Don’t let the easy-going flavors fool you though. This beer packs a punch at 11% ABV. One, please! Although not really related in a scale of flavor profiles, Belgian tripels and quads tend to be my husband’s favorite beers. 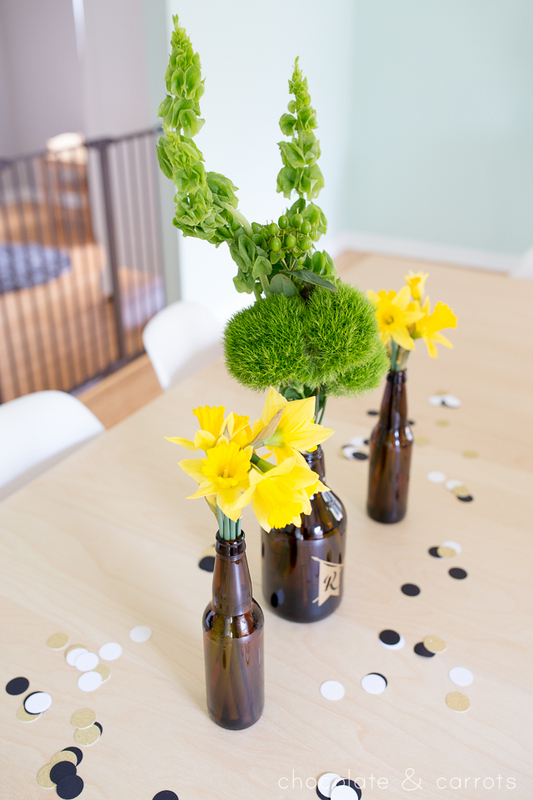 Tripels are typically effervescent (like a nice champaigne) with crisp notes surrounded by citrus or floral accents. What better way to bring out these accents, than with lemon! 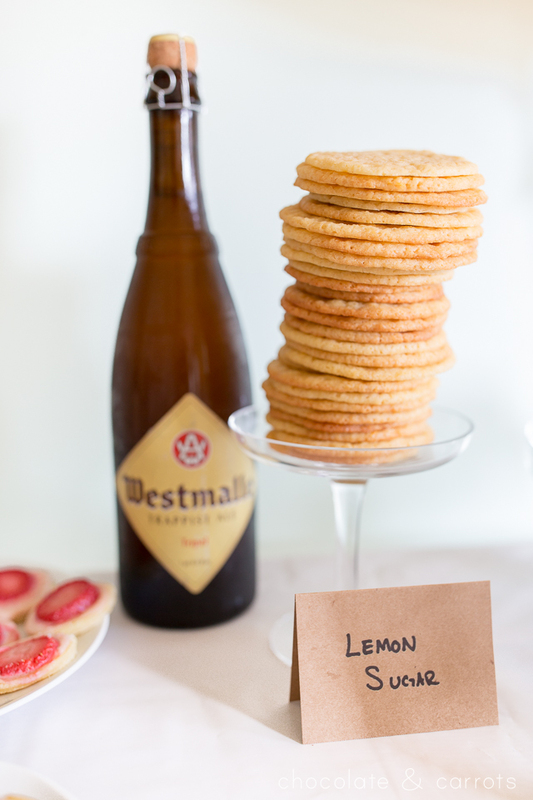 The thin cookies are a pleasant treat when washed down with the tripel. A slight lemony richness is followed by another crisp taste that allows the citrus to linger for even longer. I’ll just get this out of the way: I’m not sure this truly qualifies as a beer (don’t hate). 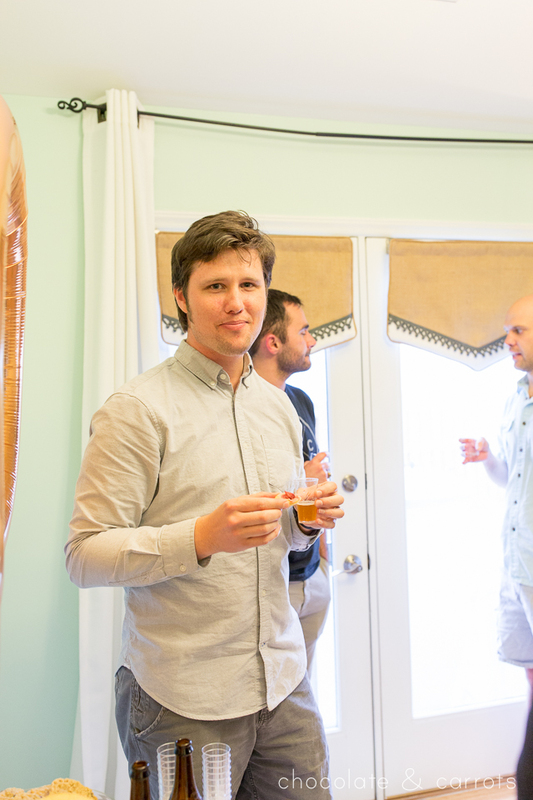 It’s more of a sweet drink that has fermented, but still delicious in the right setting. Chocolate milk stouts or even some wheat beers will grace the fridge on occasion, but nothing like this offering from Samuel Smith Old Brewery. Having said all of that, this pairing was a hit! 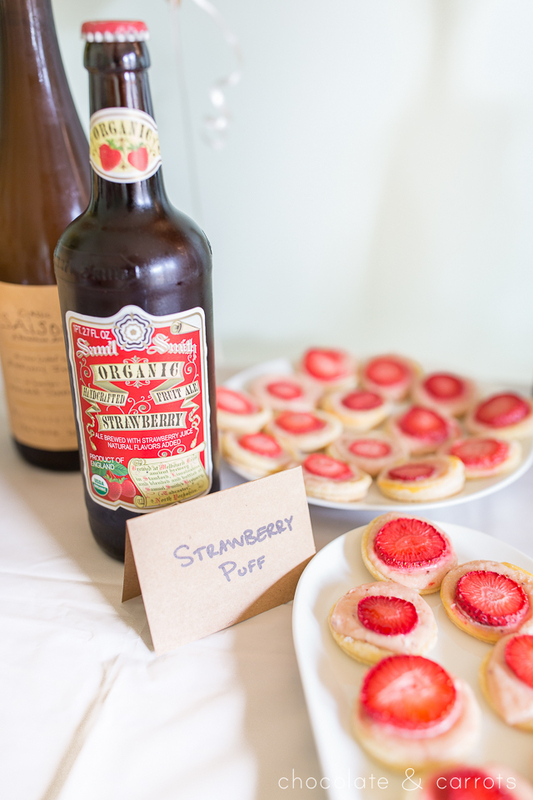 The pairing is almost a cheat with heavy strawberry flavors in both items. This pairing was unlike the others in that the finish of the puff and the beer began to blend so seamlessly with each other. Although this ended up as a fabulous pair, another bottle of Sammy Smith still remains in the fridge (looks like another sweet pairing is around the corner). This is the lightest and most delicate pairing of the bunch. 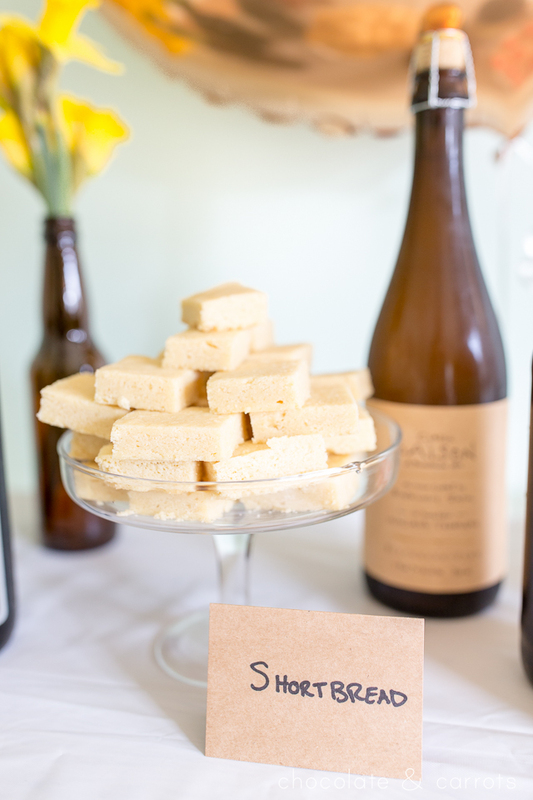 The shortbread is a no-nonsense treat with the subtlest hint of a sweet edginess. On the drink side is a saison (sometimes called a farmhouse ale) that is prevalent with floral and citrus notes. I could actually picture this pairing at a restaurant. The saison is drinkable with many foods, but in this situation no side ever over powers the other. This pairing was my husband’s second favorite. What a delicious balance! The big and the bold. Belgian Quads are some of my husband’s favorite beer varietals (likely because their complexity reminds him of bold red wines). The quad expresses bold and complex flavors supported by dark fruit (think plums and raisins) with rich malt layers. The only cookie brave enough to face the quad is a double chocolate cookie. The double punch-you-in-the-face of chocolate easily stands toe-to-toe with the audacity of the quad’s flavor. This pairing was my husband’s favorite.